Are you looking for an all-round backpack that will stand the test of time? If you need a backpack that is big enough to carry all the items that one needs to carry for a hike, an excursion or a hunt, then a Badlands Superday pack is exactly what you need. Regardless of what kind of trip or tour one is taking, a durable and efficient pack should top the list of the must-have items. Below is a Badlands Superday Pack Review with full details, features, FAQ, etc., to help you choose the perfect backpack for your next adventure. 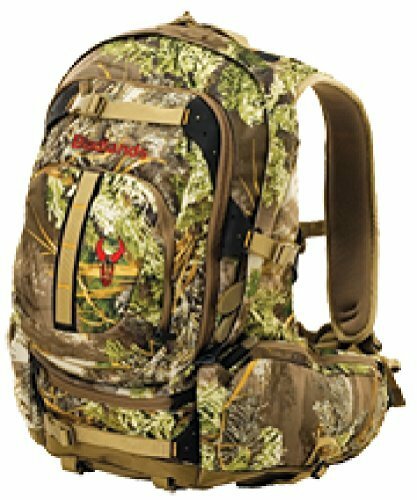 The Badlands Superday Hunting Pack is big enough to carry a substantial amount of items but still a size that is comfortable and convenient to carry. A whole day of hunting may require one to carry some food, so it is important to get a pack that has compartments where the food won’t get squashed or go bad. So much can be said about the Badlands Superday pack but explaining its specs will create a more vivid picture for a potential buyer. The Badlands Superday Hunting Pack comes with adequate space for carrying essential hunting equipment. There are 3 main compartments and 7 pockets. This makes packing very easy and also orderly because there is a place for everything. Retrieving equipment from the bag is also fast, easy and one does not to disorganize everything while looking for just one item. The pockets come in diverse shapes, hence making it possible to carry an assortment of tools. Some of the side pockets are elongated and are ideal for carrying a water bottle and some rifles as well. The pockets can also be accessed with ease without necessarily having to put the pack down. A hunt is not a walk in the park; it takes place in a forest which means that the environment is quite rough. With all the branches slapping one’s face along the way, thickets with thorns and a rough terrain carpeted with sharp stones and twigs, it is no place for fragile people and materials. The Badlands Superday pack has not compromised on quality at all. The KXO 32 camo fabric is not only resilient but also blends in well with the forest, serving as a perfect camouflage. It also does not produce any noise when one is opening it or getting something from the backpack and hence does not blow one’s cover. In a hunt one may be forced to carry the bag for the entire time. For this reason the bag must be comfortable, or else the whole experience will be difficult. An even bigger problem would be back pain caused by this uncomfortable experience. This particular pack is a 1950 cubic inch, over-the-top comfy precast fluff suspension daypack. The straps are also sufficiently padded to ensure comfort even when the pack is quite heavy or when one carries it for a long time. There is no need to worry about having sore shoulders or, even worse, blisters. 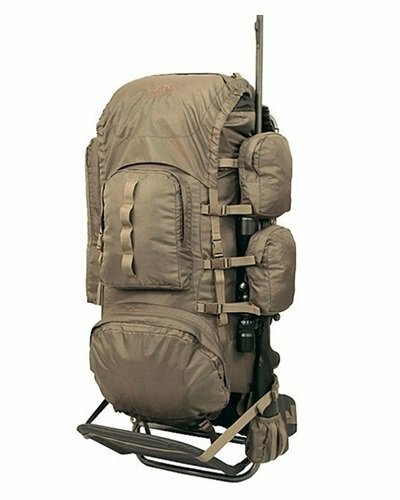 Bearing in mind that this is a hunting backpack, there must be a special place to store a rifle for hunting, otherwise there is no way to distinguish it from a regular backpack. The Badlands Superday pack has a special boot that is allocated for rifles. Since different people will opt for different kinds of rifles, the boot can be adjusted to suit one’s unique needs. This could be a gun or a bow and arrows; whatever rifle one prefers, the Badlands Superday pack has the perfect compartment for it. In addition, there is also a place to store pistols on the sides of the waist belt that can be retrieved with ease. Regardless of how good quality a pack is, a little insurance does not hurt. Accidents can happen. The Badlands pack is manufactured using material of the highest quality and is seamed intricately and with great precision. Chances of a tear or any other damage happening is unlikely, but if it does the warranty has no expiration. The famous Badlands slogan is “we fix it for free forever.” This offer even extends to bags that have been bought in a second-hand shop. If the damage is beyond repair, then they will replace the bag. There are numerous pockets that makes it easy to organize all items one needs for the hunt. The seams are strong and solid, ensuring that the bag will not rip easily. The color used is ideal for camouflage but is still beautiful. Comfort has been given a major priority in manufacturing this bag and total customer satisfaction is guaranteed. Since the bag is relatively big it may be quite bulky, especially when one does not need to use all those pockets and compartments. The pack does not have interior frames, which means that all the weight rests on the shoulders. This could be dangerous, especially when the bag is heavy. Q: Does this pack have a compartment for a hydration bladder? A: Yes there is plenty of room for a hydration bladder. Q: What is the total weight of the bag when empty? A: When empty, the bag weighs precisely 3lbs 15 oz. This is according to the Badlands official site. Q: Does this particular model have a pistol holster in the waistband? A: Yes it does: one on each side of the waistband that are ideal for relatively small pistols. This Badlands Superday Pack Review does a good job of highlighting the outstanding features of this pack. This Superday pack is not just a hunting backpack but can also be used for other expeditions as well. It is well-rounded and guarantees comfort and efficiency in any conditions.